Mergers are one of the most complex types of transactions companies encounter today, and can play out in a variety of ways. Organizations will call on their financial teams to provide expert analysis and projections, ensuring they complete the process effectively and in a strong market position. These knowledgeable professionals should have both industry experience and a comprehensive education encompassing each of the five main types of merger.Read on to learn more about the ways mergers unfold today. There are five main types of mergers, with the differences stemming from the merging companies’ relationship. Navigating each type of deal requires a unique approach from the businesses’ financial teams. This merger category involves companies that are similar in every regard—the types of audiences they serve, the region they target, and the products or services they sell. Such companies are direct competitors before combining their operations and assets. These deals take place among businesses eager to create economies of scale, becoming more efficient as one company. Two food manufacturers selling competing yet fundamentally identical snacks to the same region merge, joining their production and distribution departments into a single, more efficient entity and emerging with market share equal to their combined footprint. A vertical merger combines two companies that are in the same industry but do not fulfill the same role. Each participant is at a different point in the supply chain. When a manufacturer merges with a company that provides its raw materials, or a retailer combines its operations with one of its manufacturers, it is a vertical merger. A food manufacturer merges with a producer or distributor of one of its primary ingredients. The former company gets an uninterrupted supply of the ingredient at an optimal rate and the latter receives a permanent buyer for its product. A market-extension merger is similar in concept to a horizontal merger. Companies involved in this type of deal offer similar products or services to one another, but do so in unrelated markets. When these businesses join forces, they combine their respective client bases into one large and stable audience. A food producer only active in one country merges with a maker of similar snacks in a neighboring country. 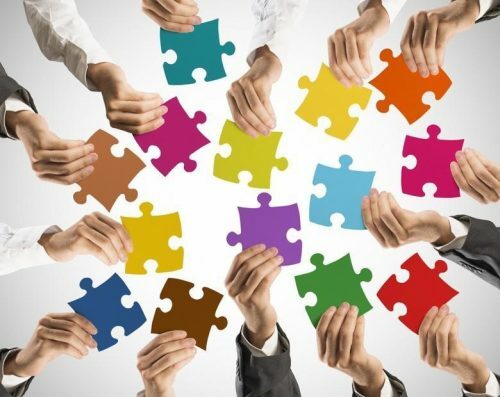 Now, instead of either organization expanding into the other’s territory and competing for customers, they join their audiences into a single group served by one international supply chain and marketing operation. Companies that target the same regional and demographic audience and sell products that are related but not the same may engage in a product-extension merger. The combined organization will offer both product lines and therefore be able to serve its combined audience’s needs more comprehensively and effectively, perhaps bundling goods or launching joined marketing campaigns. A food manufacturer and a beverage producer, serving the same customer base, merge. The snacks and beverages they make go well together, which lets them market them in tandem and create deals in which consumers buy one and receive the other. While the above merger types are all based on aligning companies’ interests, it is possible for brands to merge even if they don’t have a market in common. These are conglomerate mergers, with no overlap in activity before the deals are struck. Conglomerates offer a wide variety of goods and services under a single ownership structure. A clothing manufacturer merges with a food business. While the companies may have sold their goods to the same consumers, the overlap was purely coincidental, and their operations after the merger continue in largely the same way they functioned before merging. Due to the many complexities associated with building a single functional and efficient company out of two entities, there is always a need for knowledgeable and experienced financial personnel. 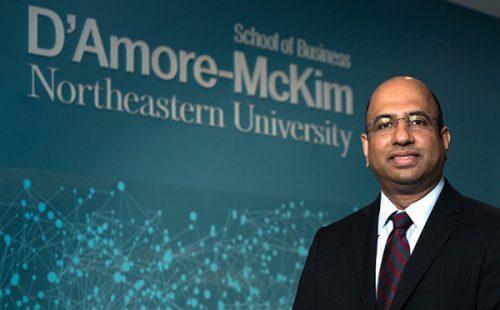 The course Mergers and Acquisitions, part of the Online MSF at Northeastern University’s D’Amore-McKim School of Business, approaches the process of merging companies from a practical perspective, providing real-world tactics and analysis methods employed by today’s leading businesses. Students discover how organizations prepare to launch a merger or acquisition bid, as well as why and how some companies resist such efforts. The course is divided into two halves. In the first part, professionals gain theoretical knowledge about mergers, learning the causes of value creation and destruction during a merger, as well as how to arrive at valuations. Legal and regulatory requirements are also on the syllabus, as any merger process is contingent on government approval. The second half of the class involves hands-on practice with mergers, using real-world examples to test students’ relevant knowledge. Achieving positive outcomes from mergers, as Investopedia noted, is contingent upon attaining synergy between the joined organizations. Meticulous research and strategic designs when carrying out mergers help make this possible. Companies’ financial departments must consist of individuals who can make accurate assessments about their future prospects, identify valuable merger opportunities, and advise against deals that would damage value. Seeking Northeastern’s Online Master of Science in Finance is one way to add such relevant knowledge to your resume. Using a course schedule designed to accommodate a full-time work week, the Online MSF program complements industry experience with detailed and in-depth explorations of relevant concepts, including mergers. Instructors with direct and up-to-date experience in financial operations equip students with the ability to make essential decisions confidently. Contact an admissions advisor to learn more about seeking an Online MSF through Northeastern University’s D’Amore-McKim School of Business. The Houston Chronicle – What Are the Three Different Types of Corporate Mergers & What Is the Rationale for Each Type?